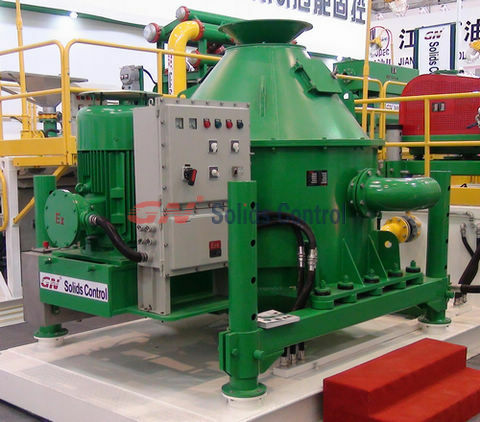 Decanter centrifuge is widely used for drilling rig mud system; it can be used from barite recovery, fine solids separation, as well as for waste management. It is utilizing different speed to vary G force and to separate different size solid particles from drilling fluids. In this case, centrifuge G force is very important for the performance. Take GNLW363VFD decanter centrifuge as an example, Gear Box Ration=57. Blow speed and gearbox input speed (conveyor speed) is changeable; they can be set on the PLC touch screen of the VFD centrifuge. So Gearbox input speed=Bowl Speed – 57×Differential Speed= Small Motor Speed transferred to gearbox by belt, in some occasions, it is also called conveyor speed. Gearbox Input Speed= 1200-57×35= -795RPM it is a negative number. Above situation, you can see, sometimes the gear box speed is a positive number, that means small motor running according to the Arrow on the belt cover. Watching from feeding tube side the small motor rotation is Anticlockwise. The motor speed is changed for some condition. GN brand VFD centrifuge have program to control the motor speed and motor direction. It can changed automatically when necessary. 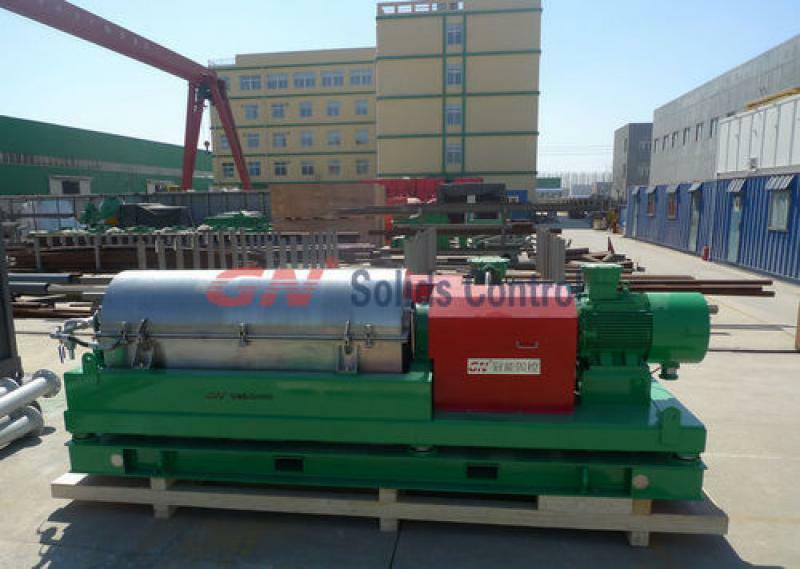 GN Solids Control manufactures customized dewatering units. 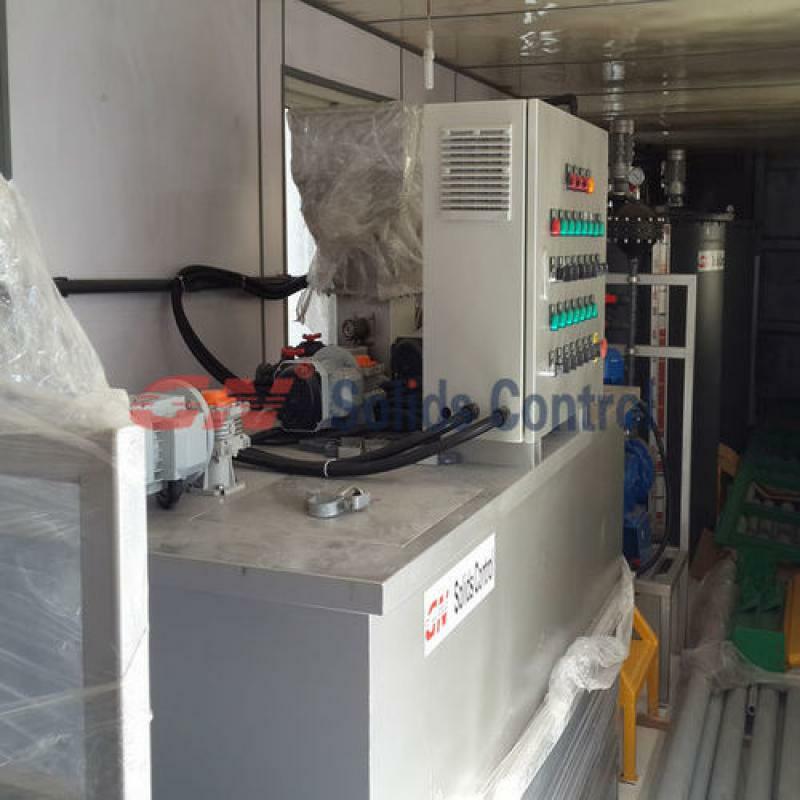 GN design dewatering unit is complete containerized unit with various pump and decanter centrifuges. 20’ Containerized Dewatering Unit is a smaller size dewatering unit, GN have big size 40ft for option. GN provide optimum performance when combined with GN proprietary dewatering centrifuge. with PLC control. It is easy for operation and reliable for running. GN 20’ mobile dewatering unit can be transported as a standard container for overseas and land shipping. The system includes all the standard dewatering components with the centrifuge mounted on a separate telescoping skid or on your own mud tank. Drilling waste extractor is mainly used for oil based mud, worked together with dewatering centrifuge (GNLW series). Drilling waste extractor is mainly used to further recover drilling fluids from oil based drilling cuttings. It can recover valuable fluids from drilling waste, reduce drilling cost. And the extractor can reduce water content in drilling cuttings, enlarge treating capacity of next step machine.